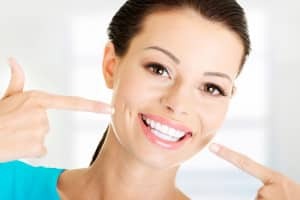 When you begin looking into options for improving the shape and even the texture of your teeth, you will likely run across the benefits of tooth contouring. However, as you learn more and more about this cosmetic treatment, you may discover that it certainly offers advantages – but it might not speak to every one of your needs. The good news is that if contouring isn’t quite right, you have other solutions within reach. Learn a bit more about cosmetic treatments that can reshape your smile for a more beautiful appearance. When the goal of re-contouring your teeth includes buffing some of your tooth tissue into a new shape – much in the same fashion you might address the texture, length, or shape of your nails with the gentle strokes of a nail file – you can alter the appearance of your teeth. With tooth contouring, we can make the tiniest of adjustments for a remarkable improvement in the way your smile looks. When removing tissue with tooth contouring isn’t quite right, you might look to dental bonding for the help you need. This cosmetic treatment will let you make exceptional improvements as we make it look as though you have added tissue to strategic locations. Lengthen a tooth, cover a crack, or fill a gap – it’s simple with bonding. Not satisfied with tooth contouring or bonding because you want to make a long list of changes? If so, you might need to learn more about veneers, which will allow you to create a custom-designed smile with very few limitations.